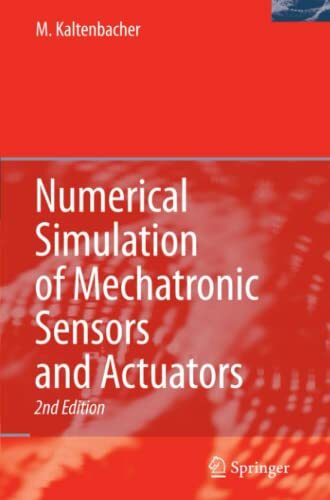 This is the second, enhanced and updated edition of an essential text for students of mechatronics. It covers both the detailed physical modeling of mechatronic systems and their precise numerical simulation using the Finite Element (FE) method. New material includes a section discussing locking effects as occurring in the numerical computation of thin mechanical structures as well as a new chapter on computational aeroacoustics to study the complex phenomenon of flow induced noise. The second edition of this book fully preserves the character of the first edition to combine the detailed physical modeling of mechatronic systems and their precise numerical simulation using the Finite Element (FE) method. Most of the text and general appearance of the previous edition were retained, while the coverage was extended and the presentation improved. In this second edition, the author enhances and improves many discussions on principles and methods. For example, he included a discussion of a priori estimates as well as a new section discussing locking effects as occurring in the numerical computation of thin mechanical structures. He also deepens the discussion of the physics of sound generation and propagation as well as includes the case of flow induced sound. A large part of the book describes the application of the developed numerical calculation schemes to industrial problems, e.g. : analysis and optimization of electrodynamic loudspeakers. In these parts, new computational methods are included, and last but not least, this new edition contains a new chapter on computational aeroacoustics to study the complex phenomenon of flow induced noise.